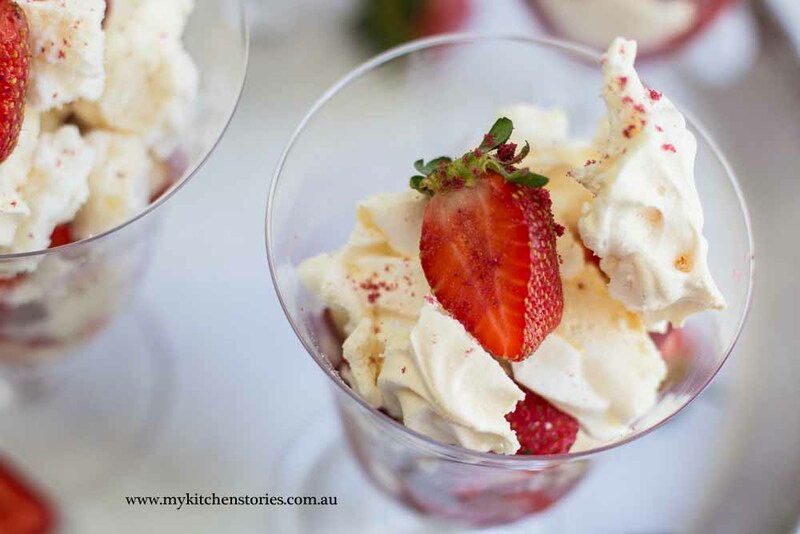 Skinny Pavlova the 10 minute Hack! Well it is a Pavlova…it’s just easier. 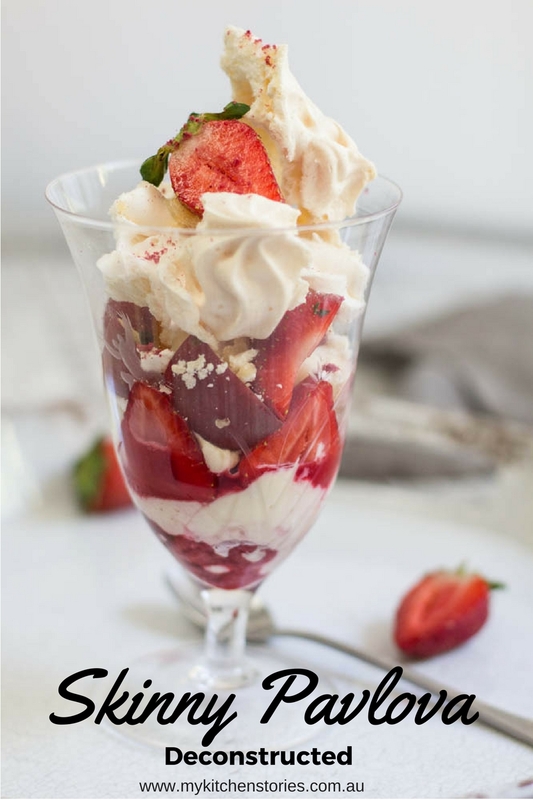 This is Skinny Pavlova the 10 minute Hack!. Why?. 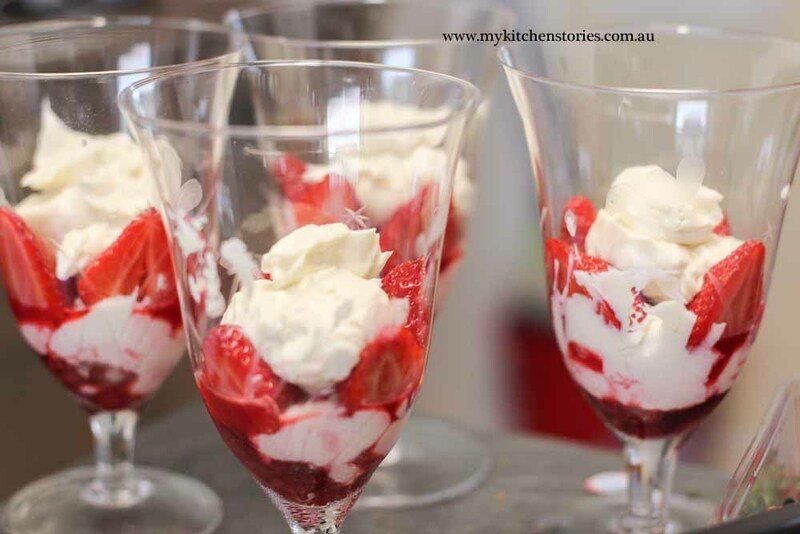 because it is so easy and it tastes just like Pavlova but in a glass. It makes sense doesn’t it.? You can eat this summer or winter. 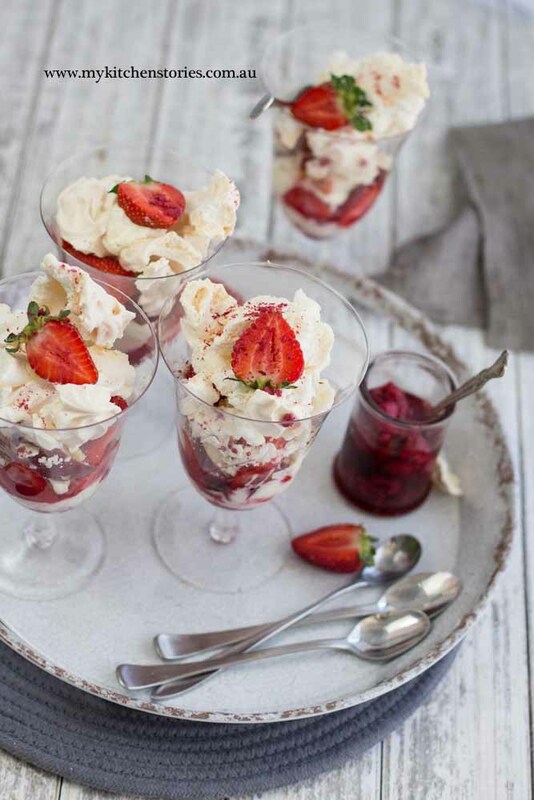 You can eat it late at night or when you have a whole troupe of Pavlova munching friends around. There’s a bit of sugar involved with the meringue of course, but the other ingredients are nice skinny substitutes. Have a whole dessert and go back for another. Actually I made 4 and ate two for breakfast. That’s wrong and defeats the purpose of a “skinny” dessert but I couldn’t waste these, they were too delicious. The secret is the vanillery creamy low fat ricotta filling. Use what ever fruit you like, I used frozen raspberries to make a lovely “sauce ” and plenty of strawberries and peaches. Obviously passionfruit would be the perfect addition because it is a classic Pavlova accompaniment. 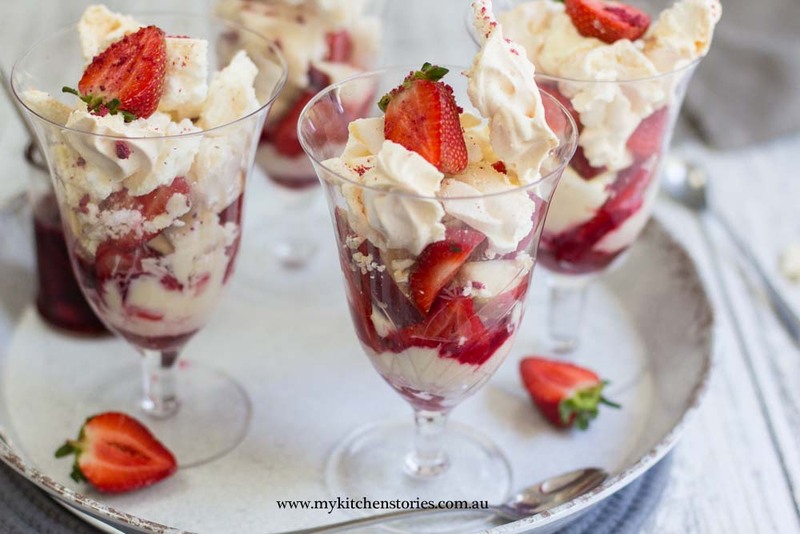 Call them what ever you like, but in Australia they are a no- bake Skinny Pavlova that you can whip up in 10 minutes. I made my own meringue but I suggest you buy the nice crispy nests you can get hold of at the store. For a meringue recipe try this one. When I was a kid my Mother hated cooking, I know I have explained that to you , but I’ve never actually told you that she completely loved design and decorating – that was her thing. She had a real flare for it. But cooking, well she always wanted the quick way out. Pavlovas had gone through a bit of the industrial revolution like much of the food in the 70’s and she embraced it. 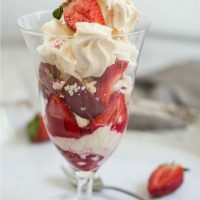 Each time a dessert was required she bought a plastic container in the shape of an egg, it was filled with powdered meringue that just needed to be whipped with water to make a foolproof Pavlova. That was my Mum’s idea of cooking. This would be her idea of cooking too she would love this. easy to make and even easier to eat. the calories are low too! Mix the raspberries with the maple syrup and set aside . Put the ricotta, vanilla, maple syrup and evaporated milk into a food processor and whip till smooth. Taste for sweetness. Add a little more evaporated milk or maple syrup if needed. Put a large spoonful of raspberries into the base of 4 glasses ( It is quite liquid). Put a large spoon of ricotta onto the top. Reserve just a little spoon for the top of each glass. Put a small spoon of the ricotta cream on top and a piece of fruit. I sprinkled mine with raspberry powder too! I made a not Skinny Pavlova this week. I ended up eating more half of it. This sounds so good. I’ve never heard of pavlova but I would definitely be up for trying it! This looks delicious!